The Parliamentary Commissioner for Standards should tighten the code of conduct governing MPs to ensure that Barry Sheerman is both the first and last member to register as a consultant lobbyist. At the end of July, Labour's Barry Sheerman became the first MP to register at Office of the Registrar of Consultant Lobbyists, in light of work he does chairing a not-for-profit organisation called Policy Connect, which facilitates meetings between business and ministers. Sheerman said that Policy Connect was "the antidote to lobbyists" and that he had registered reluctantly. However, a trio of industry bodies - the PRCA, CIPR and APPC - said that Sheerman had been conflicted, and that his inclusion on the register caused confusion and undermined faith in democracy. Paul Beckford, the CIPR's public affairs chair, said: "It is hard to see how an MP can fall within the remit of the statutory lobbying register and at the same time comply with the MP’s Code of Conduct, which says 'no Member shall act as a paid advocate in any proceeding of the House'." The PRCA and APPC yesterday sent a joint open letter to Kathryn Hudson, the Parliamentary Commissioner for Standards. It says: "It is our view that no MP should work as both a legislator and paid consultant lobbyist." It also says that Sheerman's decision to pass all monies paid to him to good causes does not excuse the fact that he had been paid in the first place, and goes on to say: "We have long sought to promote high ethical standards and the importance of transparency for UK lobbyists, but perceptions of a ‘cosy’ relationship between the two, or worse still a legislator actually acting as a lobbyist diminishes the public trust in democracy." The letter continues: "That it has taken the Lobbying Registrar to shine a light on these practises suggests to us that the MPs’ Code of Conduct could usefully be looked at once again in order to ensure that such conflicts are unable to occur in future." A review of that code and the guide to those rules is reviewed by the Standards Commissioner in each Parliament. However, this review was never completed during the last Parliament; the Commissioner sent her review and proposals to the MPs sitting in the Committee for Standards on 6 April, less than a fortnight before Theresa May triggered a general election. 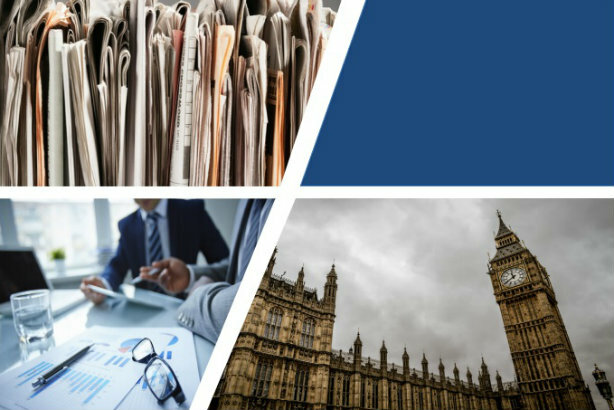 Sir Kevin Barron MP was elected chair of the committee last month, and the committee must now decide what to do with the commissioner's proposals. "Changes to the MPs’ Code of Conduct preventing members carrying out any work which would necessitate compliance with the Register of Consultant Lobbyists seem to us fundamental to any changes to the Code," the PRCA/APPC letter says.